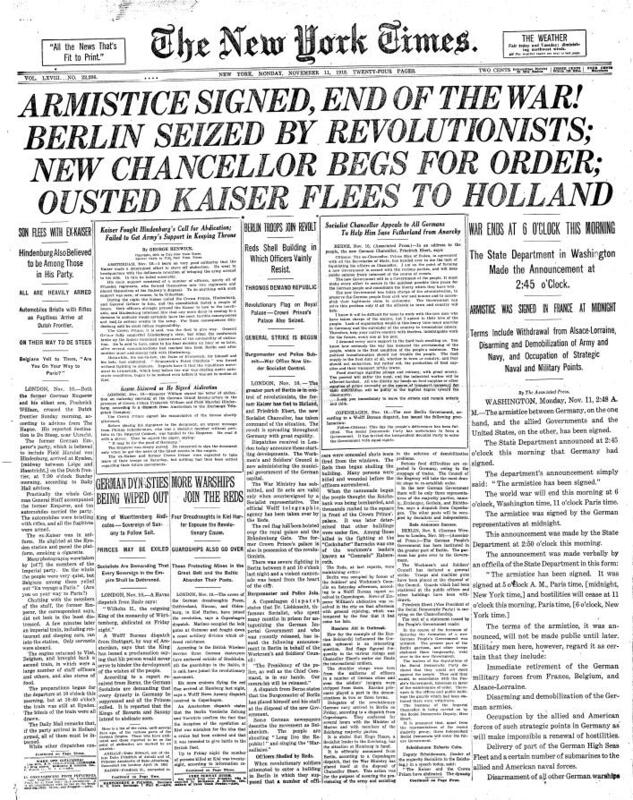 WASHINGTON, Monday, Nov 11, 2:48 AM–The armistice between Germany, on the one hand, and the allied Governments and the United States, on the other, has been signed. Glad News, and Thousands Awake to Get the Tidings. 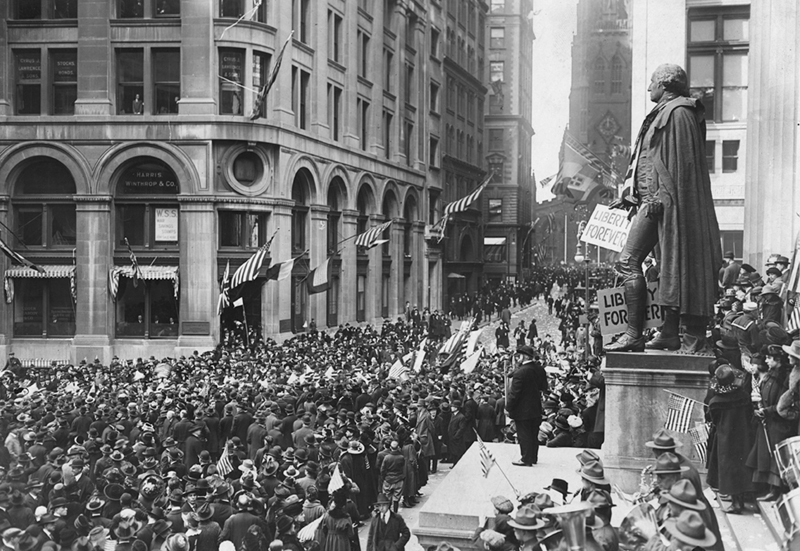 When the first bulletin of the signing of the armistice, with the acceptance of t he terms of the Allies, came into the office of THE NEW YORK TIMES shortly before 3 o’clock this morning orders were given immediately for the lighting up of both The Times Building and The Times Annex, and they remained lighted throughout the rest of the hours of darkness. In remembrance for troops of all nationalities and ethnicities who fought in the Great War ninety years ago.